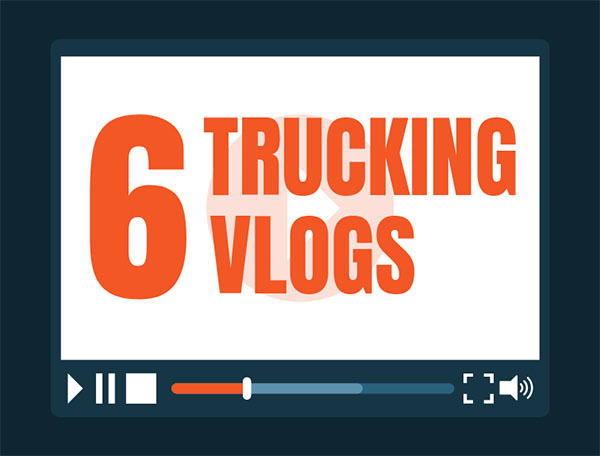 The Ultimate Guide to Must See Truck Driving Vlogs! At the end of a tough day, what a commercial truck driver sometimes needs is a good laugh over the same mistakes they used to make or someone to commiserate with over the same mistakes they still make…or better yet, someone to show them how to avoid those mistakes in the first place. Truck-driving vlogs are an excellent source of information, but they’re entertaining as well. Put together by truckers who know the ins and outs of the business as well as some who have seen the craziest, well, you can’t go wrong turning into a few. Below is a list of some the newest, brightest and most popular vlogs out there. Enjoy! Big Rig Videos is the brainchild of Christopher E. Fiffie, a former “heavy hauler” according to his bio. He’s been building his audience since 2009 and now has more than 44 million views and 125,000-plus subscribers. His videos currently top the list for big rig viewing. This vlog focuses on the heartbeat of the industry, featuring owner/operator interviews, rolling CB conversations and more. Since 2012, the Smart Trucking Channel has been supporting professional drivers in whatever way they can. The vlog offers tips and advice for the commercial trucker from professional truckers. Videos feature all makes and models, new, old and the classics. The Truckers Coach provides the tools for professional truck drivers to be successful in the trucking industry. They offer a variety of classes aimed at solo and team drivers. With more than 450 videos from which to choose, drivers can find tips and solutions for any situation they face. Want to start a career as a truck driver? A CDL skills and training course is a must. But watching a few videos certainly can’t hurt along the way. This channel provides training, tips, and tricks needed for a new truck driver training to pass their CDL test. Trucker Josh lives a crazy truck-driving life…and he documents it! Traveling across the USA and Canada leads him into some sticky and interesting situations that will entertain any driver. Racing trains, dog rescues, derailments and more, this is a must-see for truck drivers. While Trucker Josh may hit the open road, Lil Dawg spends his days traversing the streets of Chicago. With more than 670 videos relating to truck-driving life in the Windy City, Lil Dawg is an up-and-coming vlogger on the trials and travails of the big rig life. While not a complete list of trucker vlogs, this will get you started. Got your own favorite? Let us know and we will add it to the list! GDA is here to help you with your trucking needs.